Oman's strategic geographical location has long established the country as a centre for trade, connecting the Middle East to Pakistan and the Indian subcontinent to the East, Iran to the North and Africa to the South. Key to Oman's status in this regard is the fact that it is the only member of the GCC to be situated outside the Gulf of Arabia meaning that cargo ships seeking to dock in Oman's ports need not pass through the politically sensitive Strait of Hormuz. It is only recently, however, following implementation of the "Tanfeedh" initiative, that Oman has started to fully leverage its strategic location and embrace the opportunities presented by developing itself as a key logistics hub in the Middle East, with aspirations of becoming a major global player in this sector. Although preceding Tanfeedh, Muscat's new, long-awaited, international airport is scheduled to open later this year, with the ambitious aim of being ranked among the world's top 20 by 2020. In Sohar and Duqm, port facilities are being rapidly expanded in order to increase capacity for handling cargo and container ships. There is added motivation for this work in light of the current situation in Qatar which has seen cargo that would otherwise have been transported through other ports in the Gulf being rerouted to Oman. Indeed, trade between Oman and Qatar increased by approximately 2,000 per cent in the second half of 2017. Tanfeedh identified a number of issues in Oman's logistics sector that needed to be addressed in order to aid development. These were: business transactions efficiency, connections and capacity, infrastructure and competition. Transaction efficiency is undoubtedly a critical element and the government has already taken a significant step in addressing this issue with the introduction of the "One-Stop Shop Window for Customs Clearance and Inspections" or "Bayan". The digital platform is designed to allow all customs clearance and inspection processes to occur in a co-ordinated manner, with the goal of reducing the average customs clearance period from eight days to less than one. The government is currently working to implement the system across all of its subordinate agencies and ministries with the aim of facilitating trade. In order to drive efficiency in developing logistics, the government has entrusted Oman Logistics Company Group SAOC (Asyad) with overall responsibility for management of the sector. The Ministry of Finance owned company is currently managing Oman Post, Oman Shipping, National Ferries Company, Port of Duqm, Port of Salalah and Sohar Port – some of the businesses that are seen as crucial in ensuring that Oman fulfils its potential as a logistics hub. Asyad was also recently granted a licence by the Ministry of Transport and Communications to manage and operate Port Sultan Qaboos in Muscat, which is set to undergo extensive redevelopment in the near future. With a 2,100m quay, the deep-water port has the potential to become a world-class logistics hub and is a key component of the Duqm Special Economic Zone. Strategically located in the South Batinah Governorate and billed as a "world-class logistics city", Khazaen is scheduled to become operational in 2018. Overseeing proposed development of a 2,144km national rail network, which will connect the Sultanate's three key seaports with its industrial areas as well as other GCC networks. Intended to increase port container capacity by 50 per cent, from 5 to 7.5 million twenty-foot equivalent units (TEU) and consolidate Salalah's position as one of the key ports in the Middle East. Forming part of the new Muscat International Airport, the Cargo Village will encompass an air cargo terminal for import, export, re-export and postal shipping, as well as transit centres. As a final point to note, Oman's trade agreements with other nations and regional bodies should not be underestimated in the importance of the role they will play in the Sultanate's logistics sector going forward. Oman currently has a free trade agreement (FTA) in place with the United States and is also party to that between the GCC and Singapore. Additionally, Oman is currently engaged in FTA negotiations with China, New Zealand and Australia, as well as a seemingly endless discussion between the GCC and the European Free Trade Association. 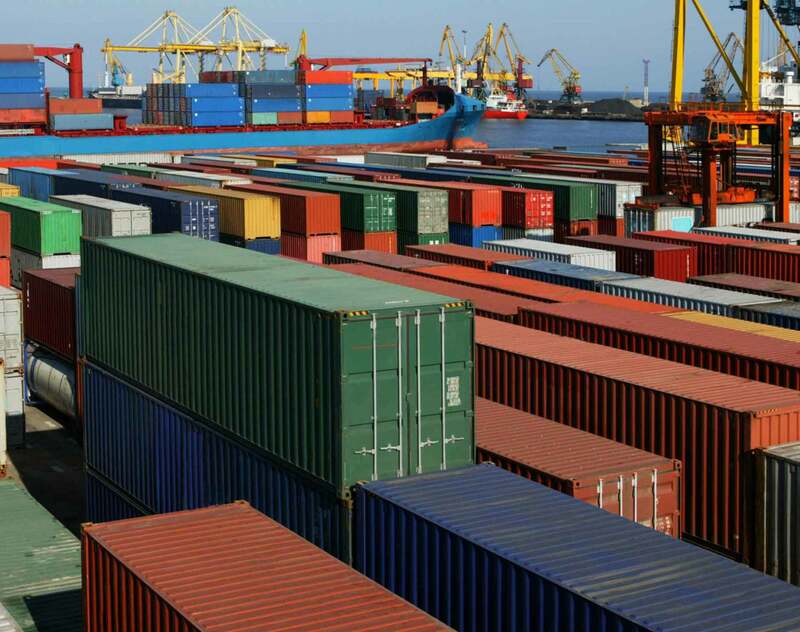 The development of FTA arrangements with multiple nations is likely to increase the flow of trade through Oman, thereby increasing the need for a sophisticated logistics sector, capable of adequately dealing with the demands these agreements may place upon the Sultanate. As with each of the other sectors focused on by Tanfeedh, logistics has significant potential as a major industry in Oman, particularly given its favourable geographical location. Nevertheless, there is much to be done and it is critical that the government continues to push flagship projects such as Muscat International Airport and the Oman Rail network, as well as the continued development of its ports in Sohar, Duqm and Salalah, in order to ensure that recent gains in market share are retained and capitalised on. Dentons is a global law firm with strong cross-border capabilities, and has operated in the Sultanate of Oman for over 36 years (and in the Middle East for over 80 years). We have extensive experience in providing legal assistance to both foreign and local businesses operating in the country and we are well placed to assist any business, whether Omani or foreign, that expresses a desire to explore opportunities in any of the projects highlighted in this article or in Oman's logistic sector generally. Dentons regularly advises companies engaged in logistics activities from incorporation to contracting and procurement, as well as in connection with FTA issues and trade compliance. Our associate firm, S&A Law Firm, provides dispute resolution and advocacy services throughout Oman, possessing a deep knowledge in all the main areas of dispute resolution, including litigation, arbitration and mediation.